'Crazy Rich Asians' Cast Is the Breakout Ensemble at Hollywood Film Awards 2018! 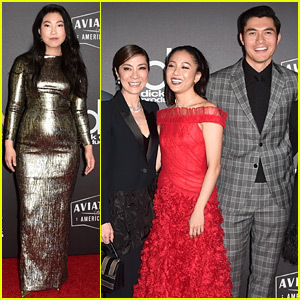 The stars of the hit movie Crazy Rich Asians walk the red carpet at the 2018 Hollywood Film Awards at the Beverly Hilton Hotel on Sunday (November 4) in Beverly Hills, Calif.
Constance Wu, Henry Golding, Michelle Yeoh, Awkwafina, Nico Santos, Harry Shum Jr., Lisa Lu, and director Jon M. Chu were all in attendance to accept the Hollywood Breakout Ensemble Award. Awkwafina also served as the host of the event, which marks the start of awards season. FYI: Constance is wearing a Rodarte dress with CSARITE by Karin Jamieson jewelry. Henry is wearing a Versace suit and Christian Louboutin boots, styled by David Thomas. Nico is wearing a Paul Smith suit, a Tomas Maier shirt, and Bottega Veneta shoes and tie. Harry is wearing an Eidos by Santo Spurr suit, Jimmy Choo shoes, and a Montblanc watch. Awkwafina is wearing a Romona Keveža dress, Brian Atwood shoes and CSARITE fine jewelry by Karin Jamieson and David Alan. Eric McCormack flashes a smile with his award in-hand while attending the Point Foundation’s 2018 Point Honors Gala held at The Beverly Hilton Hotel on Saturday (October 13) in Beverly Hills, Calif. 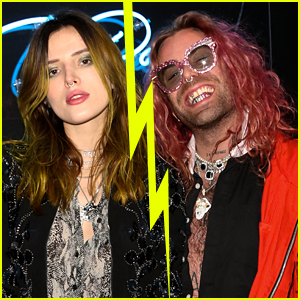 The 55-year-old actor was joined at the event by his wife Janet Holden, Cheyenne Jackson, musical guest Leona Lewis, Adam Shankman, Nico Santos and his boyfriend Zeke Smith, and Thomas Dekker. Eric was presented the Point Impact Award by Cheyenne at the event celebrating future LGBTQ leaders, honor our champions, and support Point Scholars from around the nation. FYI: Leona is wearing Thai Nguyen Atelier Resort. 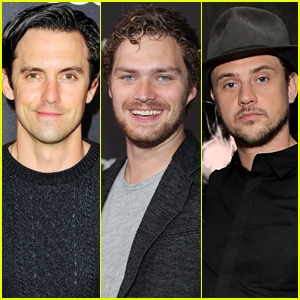 Emmy nominee Milo Ventimiglia stops by Audi’s pre-Emmy celebration held at the La Peer Hotel on Friday night (September 14) in West Hollywood, Calif.
Also seen in attendance at the event were The Predator‘s Boyd Holbrook with Tatiana Pajkovic, Iron Fist‘s Finn Jones, Hotel Artemis‘ Sofia Boutella, The Alienist‘s Daniel Bruhl, Insecure‘s Issa Rae (nominee) and Kendrick Sampson, Silicon Valley‘s Jimmy O. Yang, The Handmaid’s Tale‘s Amanda Brugel and Sydney Sweeney, Salem‘s Ashley Madekwe, Empire‘s Rumer Willis, Crazy Rich Asians‘ Nico Santos, Westworld‘s Jeffrey Wright (nominee), and Big Bang Theory‘s Kunal Nayyar. 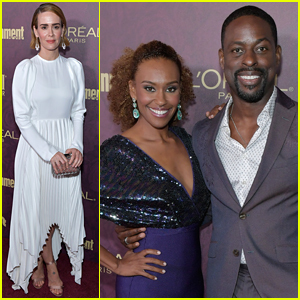 The Emmys are set to air on Monday (September 17) on NBC! Be sure to tune in. 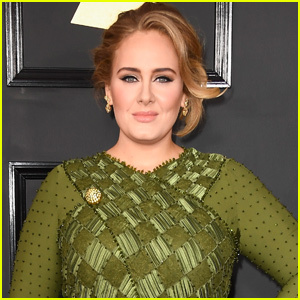 FYI: Rumer is wearing a Silvia Tcherassi dress. Kendrick is wearing Ted Baker London. Issa is wearing Alexis Bittar earrings. 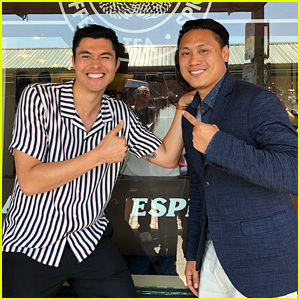 Henry Golding & 'Crazy Rich Asians' Cast Continue Their Press Tour Around the U.S.
Henry Golding and director Jon M. Chu poses for a pic at the original Starbucks shop on Wednesday (August 1) in Seattle, Wash. The guys are touring around the country together while promoting their new movie Crazy Rich Asians and they also visited Seattle’s famous Pike Place Market. Awkwafina, Ken Jeong, and Nico Santos teamed up that day while in Miami, where they visited the talk show Despierta America. Gemma Chan, Jimmy O. Yang and author Kevin Kwan are on tour together and they just stopped by Good Morning Philadelphia during a trip to Philly. Crazy Rich Asians hits theaters on August 15!